Now that’s a challenge! Perfect? What exactly is perfect? First, I don’t think it’s actually attainable. Second, I don’t think it’s actually advisable to try. I would rather strive to be excellent, which is the best me I can be. Perfect is . . . well, it’s less than excellent. Because perfection can never be achieved, it is a cause of constant frustration, anger and fear. 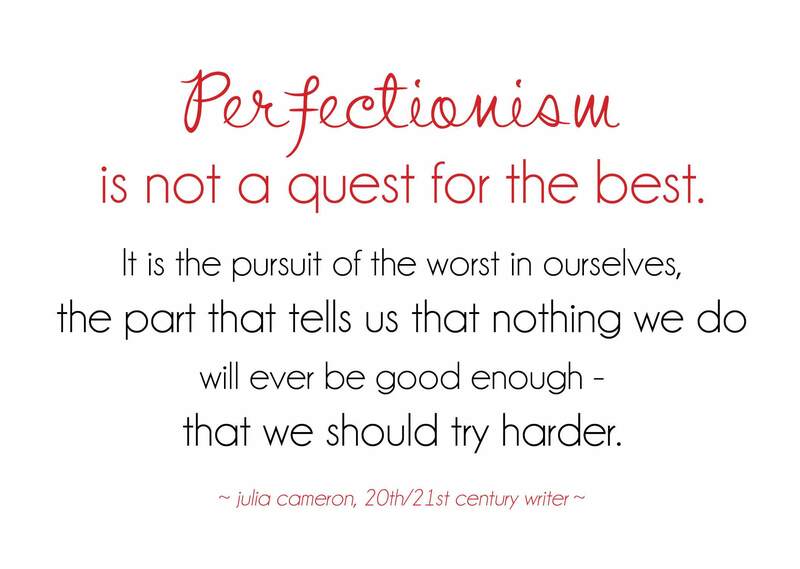 Perfection requires abnormal control, harsh judgment, and much self-doubt. It allows no relaxation, flow or spontaneity. Striving for such an artificial state makes for unhappy, miserable people, who, not surprisingly, have a difficult time maintaining this negative way of life. It is exhausting with almost no payback. Why waste your life in such a pursuit? As the U.S. Army says, “Be All You Can Be.” Be excellent! In contrast to perfection, excellence allows for risk, with the possibility of failure. I like that. I find I learn much more from mistakes than from accidently getting it right. A life of excellence is a life of giving rather than taking, filled with confidence rather than doubt and based on acceptance rather than elitism. 1 – Express my gratitude tangibly for every gift and kindness given to me. 2 – Greet people with a smile, every time, especially those I love . 3 – Express my love and joy to my grandchildren at every available opportunity. 4 – Provide warm hospitality to everyone who enters my home, whether friend or stranger. 5 – Look for the good and wise in others. 6 – Laugh as often as possible. 7 – Enjoy wealth more often by what I give and less often by what I get. 8 – Say “yes” more often. 9 – Ask for help when needed and give advice when requested. 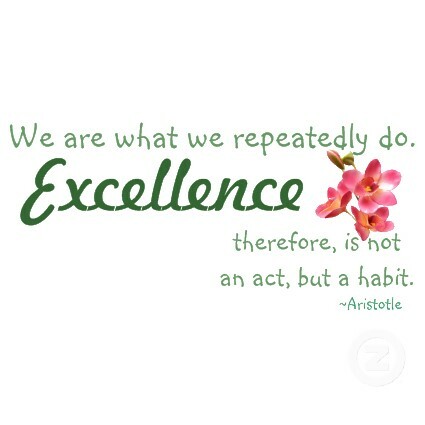 I intend to strive for excellence for as long as it takes. And it will take the rest of my life, of that I am sure. 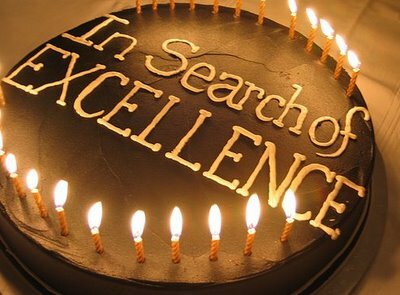 But excellence is a journey, not a destination. 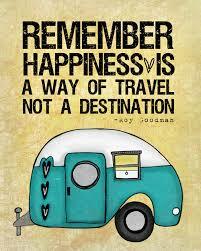 And I do so love a good long trip!.